Mt. Tamborine is a charming mountain village in the Gold Coast Hinterland. Known for its amazing natural sights, quirky shops and art-loving community, it can make you feel like you’ve stepped right into a fantasy novel. 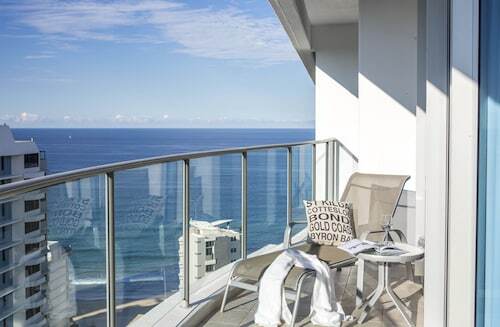 From parks and bushwalks to restaurants, cafes and tourist attractions, it’s a brilliant destination for relaxation, romance and getting out and about. Book your Mt. 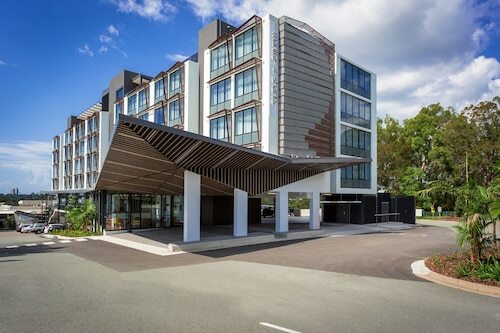 Tamborine hotel with us and see another side to the coast, away from the nightclubs and beaches. Just an hour’s drive from Brisbane and 45 minutes from Surfers Paradise, Tamborine is very different to both of those places. Its name has nothing to do with the instrument or Bob Dylan, but comes from the Yugambeh word ’Jambreen‘, meaning ‘wild lime’. With its rustic feel, large areas of bush and locally grown fruit and veg, Tamborine is a sure-fire place to immerse yourself in nature without giving up any conveniences. Patches of rainforest and walking tracks can be found across Mt Tamborine, and there are 14 different sections of national park. Cedar Creek Falls offers some of the most beautiful sights by far– and for a mountain filled with beautiful sights, that’s saying something. Take a walk through the bush and you’ll pass lookouts with views of breath-taking tree-dotted cliffs and waterfalls that cascade into rock pools. Take a swim in the rock pools, or have a picnic in the peaceful green picnic areas close to the car park. The Tamborine Botanical Gardens is 11 hectares of rainforest with boardwalks, stone bridges over the lake and Japanese-themed gardens. Head to Cedar Creek Estate and take a tour of the dark, moody glow worm caves to see how these unique and bizarre animals do their thing. Or, if you simply enjoy a good view, drive to one of Tamborine’s lookouts, like Rotary Lookout on Main Western Road, where hang-gliders often launch from. But it’s not all about nature. Gallery Walk is Tamborine’s main tourist strip, and it doesn’t just feature art galleries - it IS an art gallery! Colourful and unusual buildings are home to restaurants, cafes and shops selling everything from gifts to fudge to cuckoo clocks. You may even spot statues of strange-looking creatures watching you as you walk by. At the end of the strip is MT Brewery, where you can try some local beers, sample some cheese or have lunch in the open air while listening to live acoustic music. If you like a drink, be sure to also check out the Tamborine Mountain Distillery on Beacon Road. At night time, you can see some live music or a play at Zamia Theatre or try some of the local food – there’s everything from fancy restaurants with impressive views to gourmet pizza places. Spend a little time on Tamborine and you won’t be surprised that so many couples get married here (not that you have to get married, but if you are, congratulations!). Book your Mt. Tamborine accommodation with us and come on up to the mountain! Need insider tips on must-see attractions in Mount Tamborine? Check out our Mount Tamborine travel guide! How Much is a Hotel Room in Mount Tamborine? Hotels in Mount Tamborine start at AU$132 per night. Prices and availability subject to change. Additional terms may apply. Excellent location and breath taking views of entire city. I would love to stay again here in my next visit to GC. The appartment was super spacious and luxury. Great location. No smoking in any area of the hotel could be better advised.